Listen to how Dr. Bock implemented ONDAMED® into his practice. Dr. Bock, M.D., FAAP, DABMA, DABAAM, is certified in Medical Acupuncture, and has been an instructor at Albany Medical College. He is a Diplomat of the American College of Family Practice, a Diplomat of the American Academy of acupuncture, a Diplomat of the American Academy of Anti-Aging Medicine, and a Board Member of the Foundation for Advancement of Innovative Medicine (FAIM). Dr. Bock’s medical practice merges traditional medicine with alternative and complementary medicine, combining the modalities of acupuncture, functional and nutritional medicine, homeopathy, herbal medicine and environmental medicine into an integrated medical model for optimal wellness. "Stay Young the Melatonin Way" was Dr. Bock’s first book published in 1995 by Dutton. 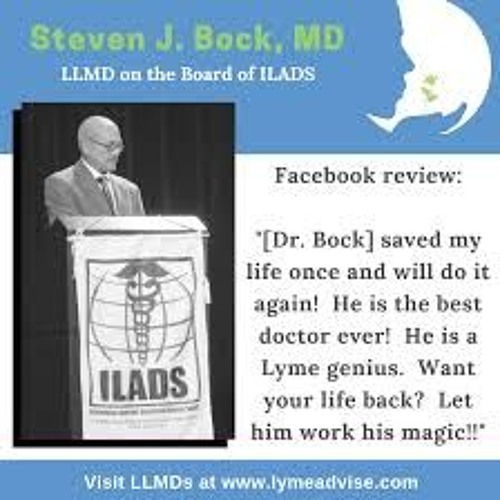 He has co-authored two books with his brother Kenneth Bock, M.D. :"Natural Relief for your Child’s Asthma", published in 1999 by Harper Collins and The Germ Survival Guide, published by McGraw Hill in 2003. An in-depth conversation with one of the most sought after experts in the field of Integrative Medicine. Dr. Oschman discusses how frequencies influence this epidemic.